Sure, this bath mat feels ultra-soft as soon as you step on it. And yes, it’s true that it’s woven from 100% cotton. But what we really love about it is how gosh darn good-looking it is. It has a striking three-textured weave: bobble-like in the centre, honeycomb on the border and geometric around the edges. Turn it over to the plain side when you fancy a change. Wet feet? What wet feet? 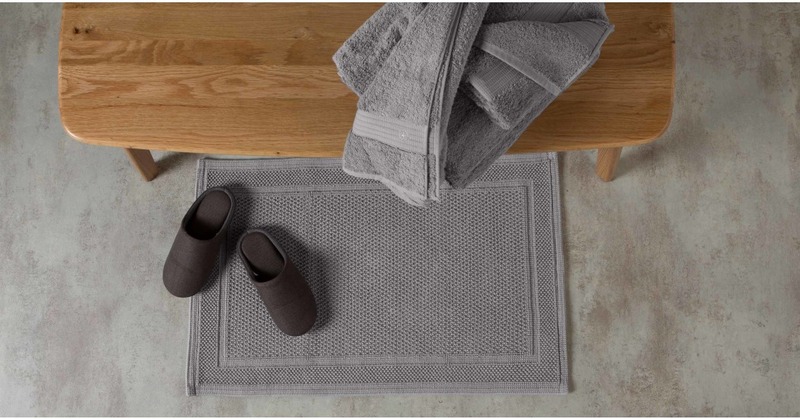 The bath mat is woven from a super absorbent cotton so they won’t be soaking for long. In fact, it’s crafted in Portugal, a location famous for premium cotton pieces.